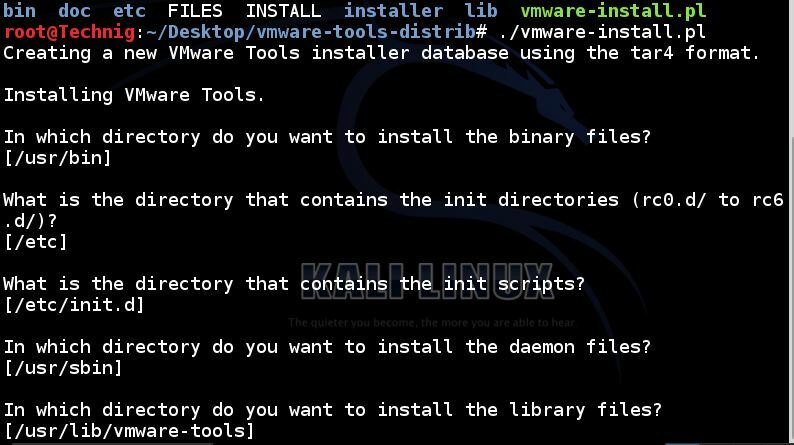 How to Install VMware Tools in Kali Linux? Kali Linux is most commonly used inside of VMware Work Station and Player, one of the best virtual machine manager program for Penetration Tester and Network Administrators that creating the testing Lab. For Kali Linux WMware is better then the other Virtualization software. 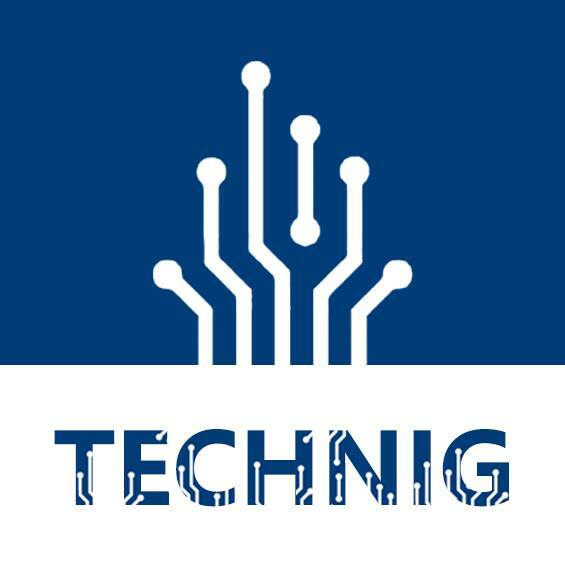 It has the ability to drag and drop files directly to virtual machine and using PnP devices with out any problems. These functions are not work correctly until you have install the VMware tools or drivers on Kali Linux. So this is about How to install VMware tools and integrate the Kali Linux virtual machine with the host Windows 8.x or another Windows operating system. To install Kali Linux read “How to Install Dual Boot Windows and Kali Linux?” if you don’t know the installation. 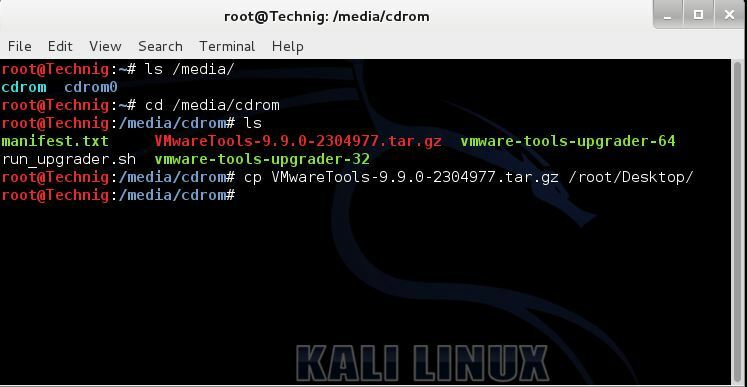 While you are loges in as root user to Kali Linux, mount the VMware tools to Kali Linux and extract it. The VMware tools auto open the contents of VMware tools. You can see all VMware tools contents. 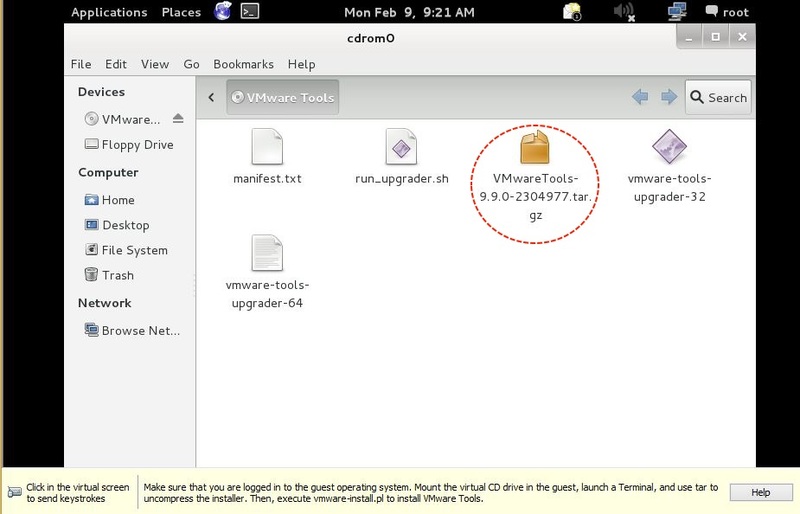 Now copy the VMware Tools to the desktop with drag and drop or through command line. I using cp command to copy the file. The file coped successfully. Now try to extract the file with tar command line extractors tool. The task accomplished and go to VMware-tools-distro folder and run the install.pl file. When the installer launch, it will be asked some yes/no questions during the installation about what features you want to install, answer all these questions however you want. 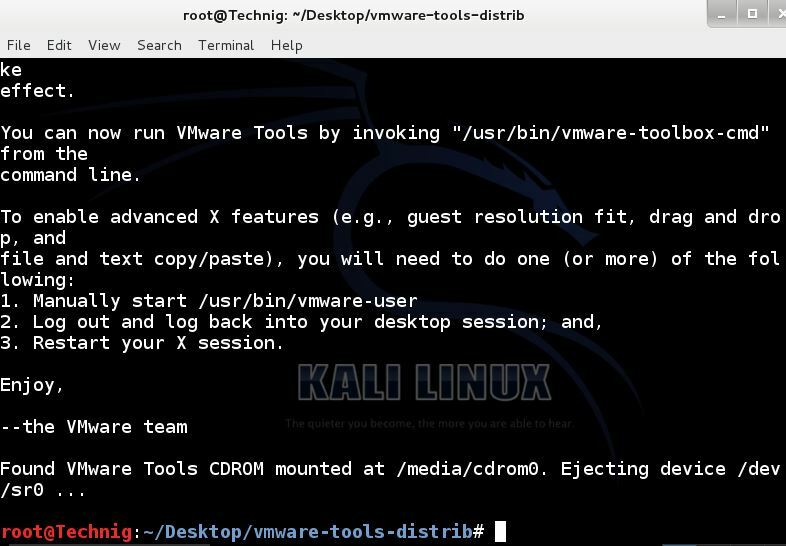 After the installation has completed successfully, once restart the Kali machine to start using the new added options that VMware tools allows you. in Kali linux Opt i wanted to ask u what is the role of WMare Tools? 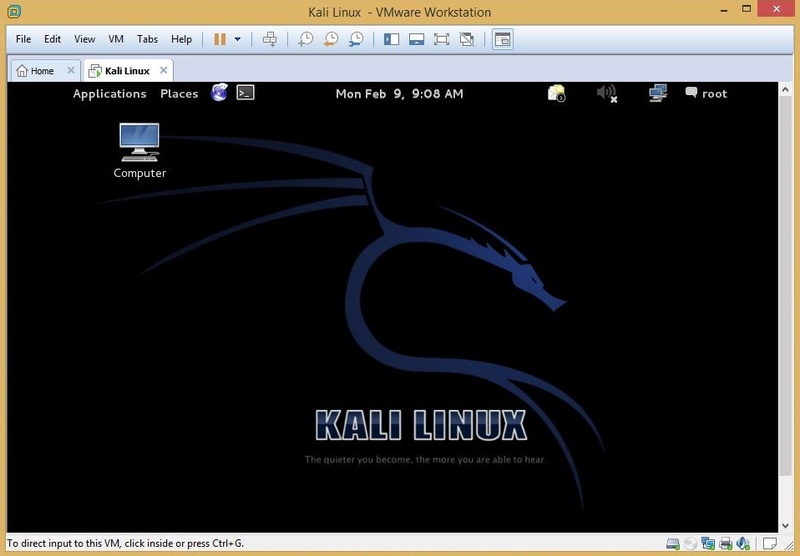 This VMWare tools will install Kali Linux drivers and integrate it with your system and devices. I recommend you to read. I saw your blog, it is great with valuable articles. Keep it up.